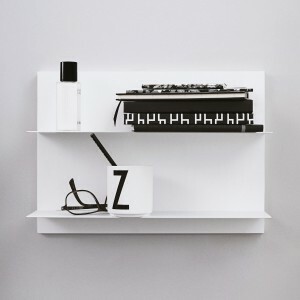 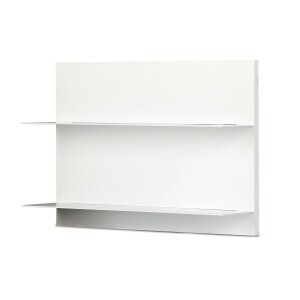 The White Paper Shelf is a minimalist wall shelf in DIN size, allowing Arne Jacobsen accessories by Design Letters and other items to be stylishly put to the fore. The white rear wall made of lacquered MDF contributes a total of two narrow steel shelves with a depth of 10cm. 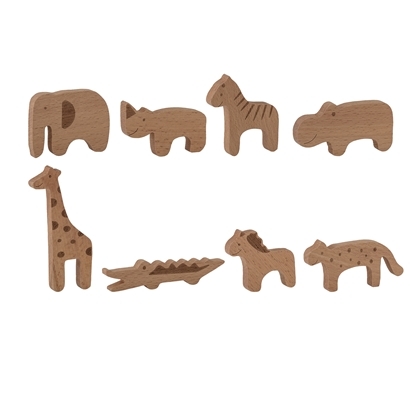 Similar to the pages of a book the shelves are extremely thin and empty, so that they can be “labelled” with different Design Letters accessories and typography elements. 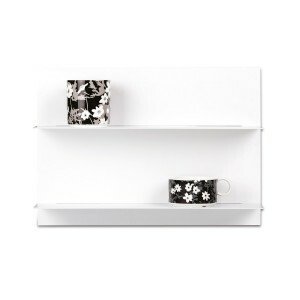 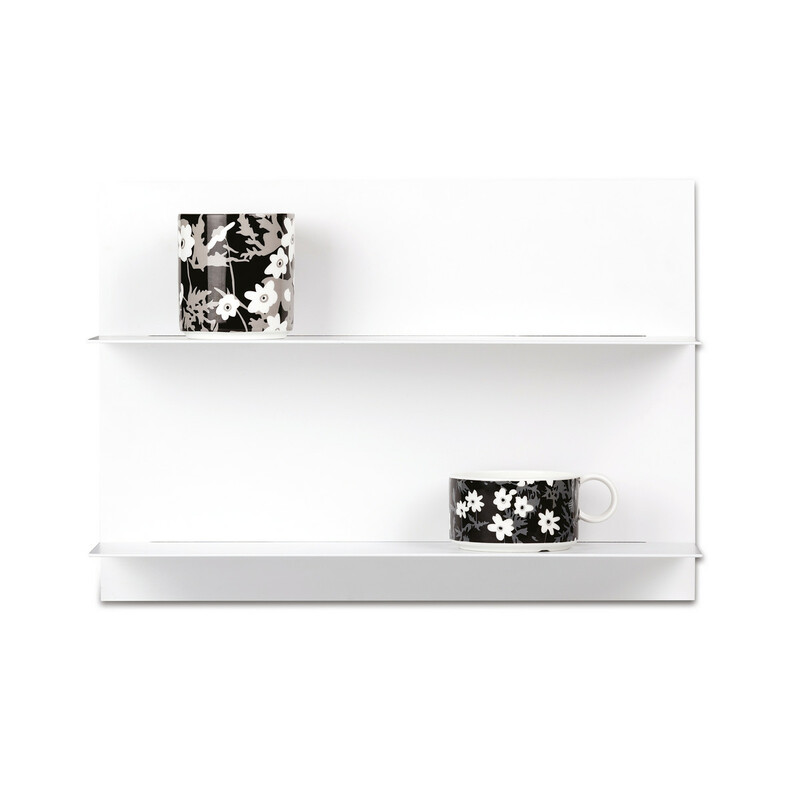 Available in size – DIN A3, the White Paper Shelf can be used in many ways in the home and be decorated with the own accessories, dishes and other things.